Country Communities is excited to announce our newest community, Woodland Farms of Chappell Hill, featuring ±1.5 to 132-acre tracts for sale for your country dream home — where nature is on display 24 hours a day™. Woodland Farms of Chappell Hill is the fifth of Country Communities’ successful master-planned developments in the abundantly forested, rolling hills of historic Washington County. Country lots from 1.8 to 3.5 acres; private and secluded, paved road, underground electrical distribution. 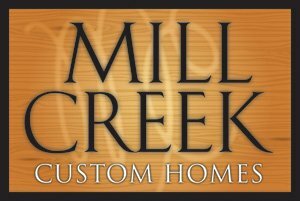 Mill Creek Custom Homes is building the homes in this section. They offer excellent quality, experience and customer service. 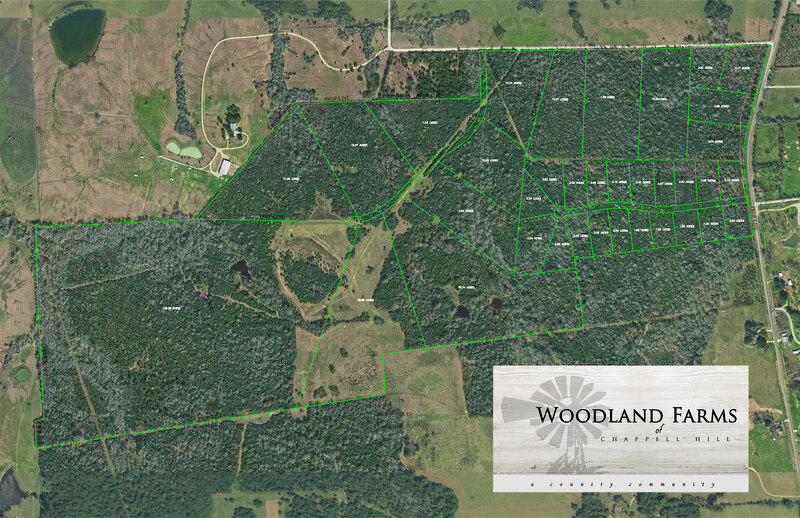 Woodland Farms of Chappell Hill features ±384 acres located in Washington County, Texas near Washington-on-the-Brazos State Park (Birthplace of Texas) and approximately three miles north of historic Chappell Hill on FM 1155 and Hwy 290. Woodland Farms of Chappell Hill is heavily forested land with some of Texas’ favorite hardwoods, sprawling oaks and towering pecan trees. The development is limited to 36 home-site lots ranging from ±1.5 to 138 acres with underground electric, septic systems, well water and Country Communities’ branded covered bridge, split rail fencing, winding country roads and Texas Bluebonnets. As with all Country Communities’ developments, Nature is our Master Planner.™ Trees, hills and creeks are the primary architects and final determinants for division of land tracts. Deed restrictions and architectural guidelines are established to ensure the natural beauty of the area is preserved. Country Communities values the environment and is committed to its preservation and protection. Designs for each property incorporate the unique characteristics of the land and reflect a “low impact” philosophy where nature, wildlife, and vegetation are concerned. Overall, our company’s aim and core values are to connect people, living spaces, and nature. We want people to experience their Country Community as well as live in it. Proximity to Highway 290 and Houston’s Grand Parkway (HWY 99), oers amenities such as shopping, restaurants, entertainment, and easy access to healthcare services 10 to 30 minutes from Woodland Farms. The City of Brenham, population 17,000, is 10 minutes west of Chappell Hill. HEB Grocery stores (Top five grocery chain in U.S.) are in Brenham (10 minutes west) and in Cypress, Texas (30 minutes east of Chappell Hill). Memorial Hermann, Cypress Hospital, Houston Methodist Emergency Care and Primary Care Group and Texas Children’s Pediatrics are conveniently located along Highway 290 just east of the Grand Parkway approximately 30 minutes from Chappell Hill.